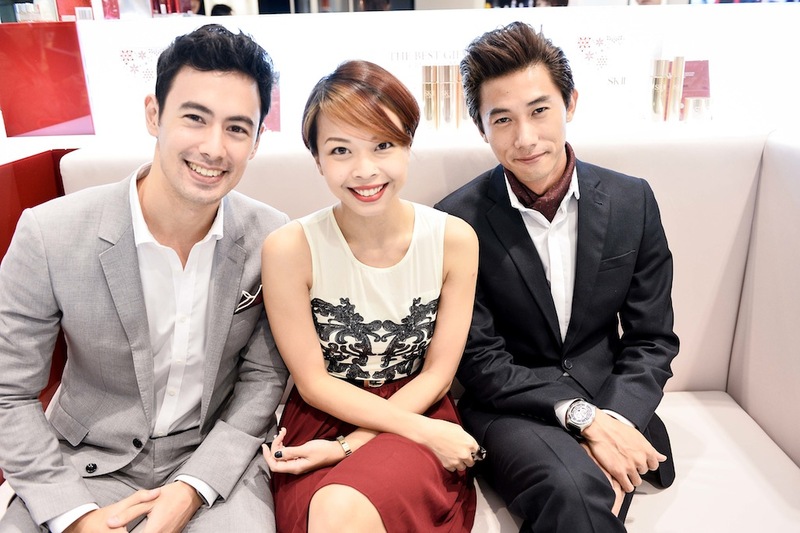 [Event] Meeting George Young & Desmond Tan at the new SK-II counter in Robinson Orchard | beauty. bikes. This was probably every girl’s dream come true. Two hunks at the opening of a coveted skincare brand’s counter in the middle of Orchard Road, Singapore. Well, it came true. 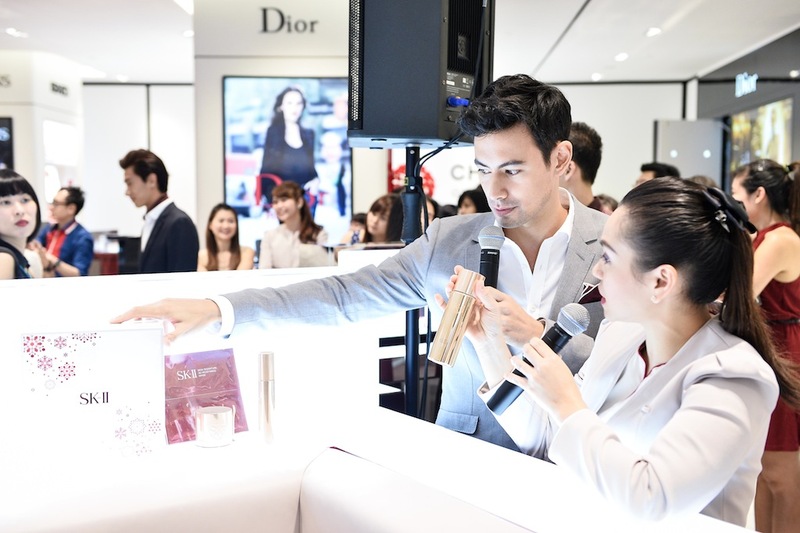 We met the charismatic George Young and the suave Desmond Tan at the opening event of SK-II’s new counter in the sparkling Robinsons Orchard. 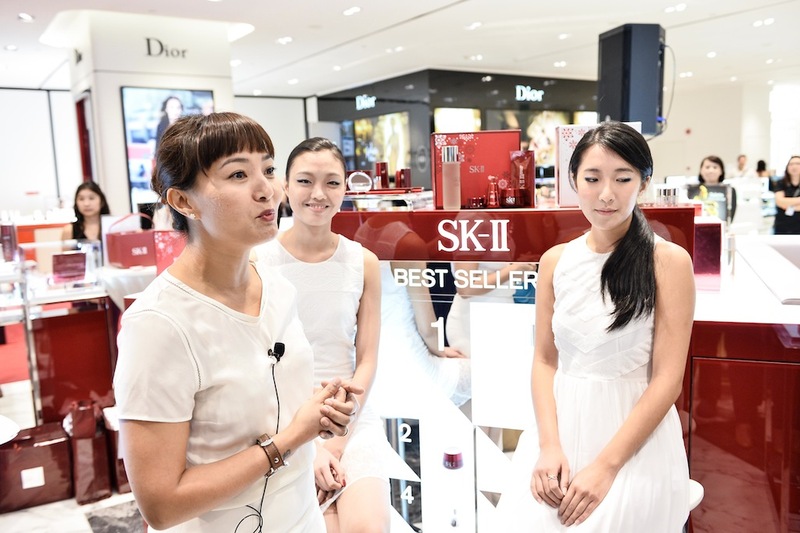 Celebrity makeup artist Venetia Stravens was also there to showcase some festive makeup looks using SK-II makeup, which sadly isn’t available in SG yet, but the lipsticks are available through gift with purchase promos. Then, the boys were put to the test by stepping into the beauty advisor’s shoes for 5 minutes, to show if they had what it took to be a beauty counselor. The audience got to vote for who played it better! George won – he got upclose and personal to his fan by applying the product on the back of her hand! 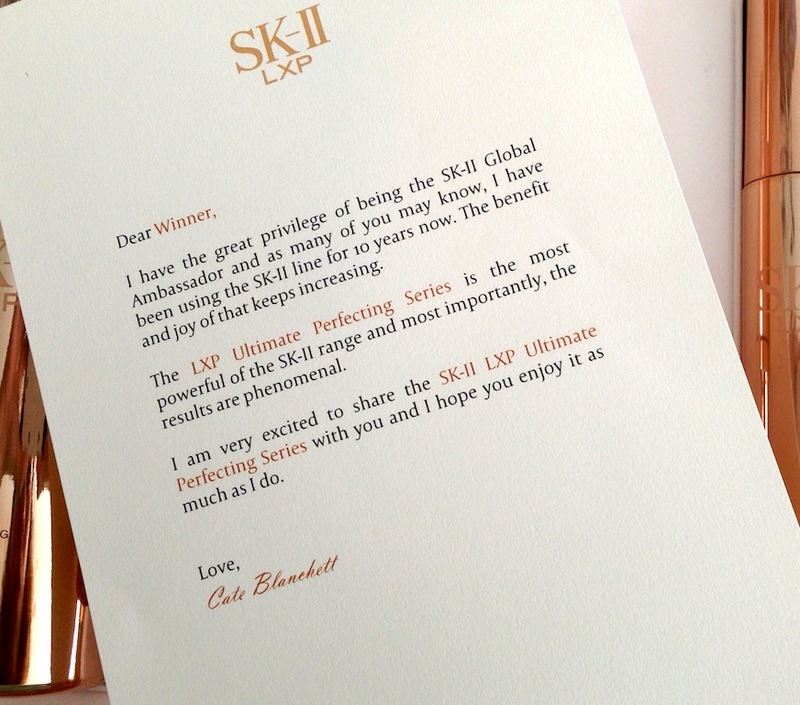 And then George picked a winner for the SK-II LXP set by drawing a name from the voting slips… and… I won!! Yippee! I took home the LXP set which had the Ultimate Perfecting Essence, Eye Cream, Serum and Cream! 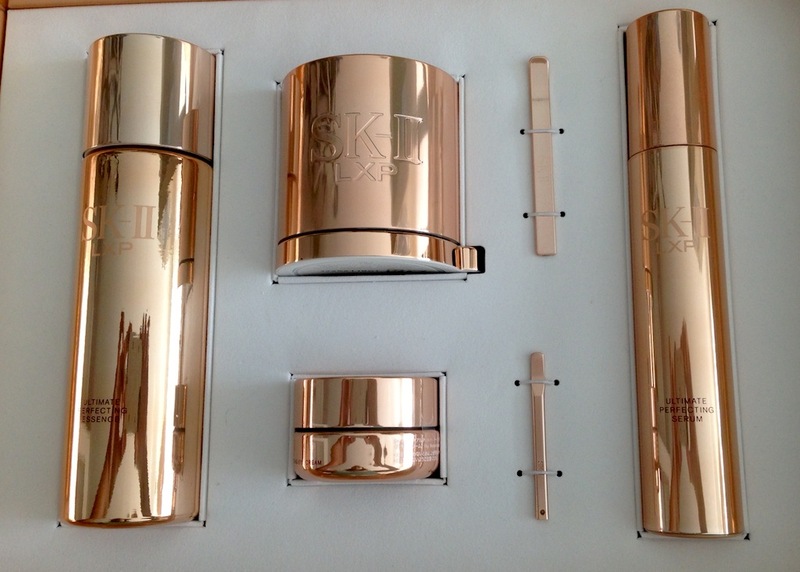 This range was just launched last month and you can head down to the SK-II counters to test them out too! Their’s more! A note from Cate Blanchett introducing the series. 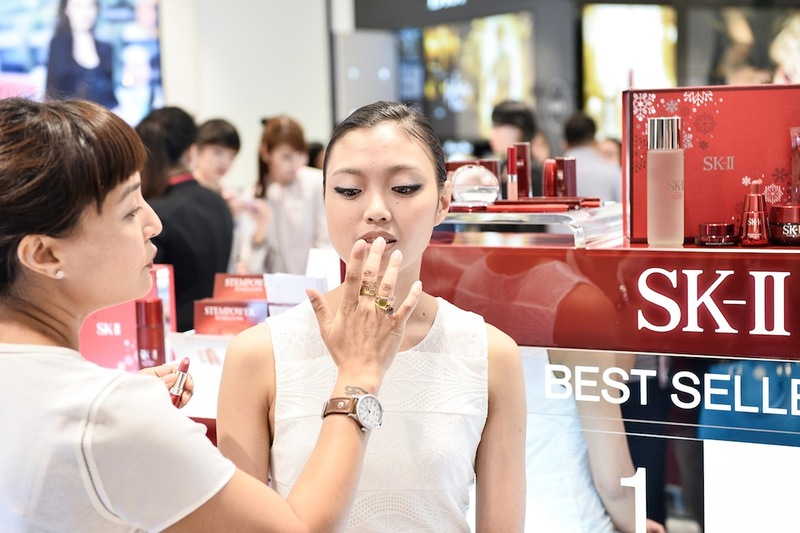 Thanks to SK-II for inviting us to this fun event! 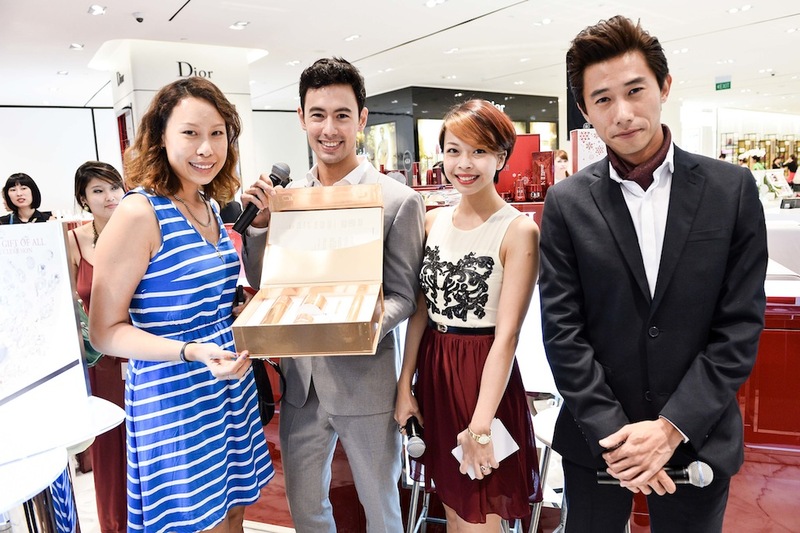 Tags: celebrities, desmond tan, george young, lxp, robinsons, skii, skincare. Bookmark the permalink.